Turn on the television, open a newspaper, listen to a Davos panel: Artificial Intelligence and machine learning is set to change the world. Yet we have been here before. Anyone with grey hair will remember the hype and promise of AI through the 1970’s and 80’s. Recall: Hal 9000 (2001: A Space Odyssey), SkyNet (Terminator); C-3P0 (Star Wars) and Deep Thought (A Hitchhikers Guide to the Galaxy). But early attempts to replicate human consciousness (known as Strong AI) failed to deliver, leading to the ‘AI Winter’ of the 1980’s. One infamous AI fail was biblical: Matthew 26:41 “the spirit is willing but the flesh is weak” machine translated to “the vodka is strong but the meat is soft” when reversed from Russian. Huge advances are occurring across thousands of applications. Think of search engines, the genome project, space/military robotics, predictive marketing, facial recognition, medical diagnosis, robo-advisors (finance), electronic trading, fraud detection and natural language processing. Are the markets still human? Markets – a central pillar of capitalism – have indeed come a long way since the first financial exchange was setup in Antwerp, Belgium, in 1531. They gave companies a means of raising capital for future endeavors, while providing liquidity to investors at a transparent price. Markets have long been characterized by human emotion: panic, euphoria and greed. But haven't modern markets changed? Isn't the market now driven by emotionless machines? That certainly seems to be the consensus. But the numbers just don’t add up. In fact it's all too easy to see examples of how humans dominate market decisions - the most recent being the Bitcoin bubble of 2017 - 18. The mistake made by many commentators, Stephen Mnuchin included, is that they conflate the fundamental decision to buy/sell stocks (price discovery, mostly human) with trade execution, High Frequency Trading and market making (mostly algorithmic). A simple example: If I wanted to buy GE, I’d call my broker who would execute the trade (algorithmically). The ‘buy’ decision is human, the act of buying is machine. Another way to look at it is top-down. Some decisions are made by machines, mostly quantitative hedge fund strategies. According to HFR, Inc., "quant" funds manage $932 billion globally. That’s a big increase compared to 10 years ago, but it’s only 1.3% of the total investable global equity market ($72 trillion) and around 1.2% of the total value of stocks traded, $77.6 trillion (source: The World Bank). This doesn’t include derivatives, FX or fixed income markets. So, while quant hedge funds oversee 1.3% of global equity capital, human beings still oversee the remaining 98.7% (that is: mutual funds, sovereign and pension funds, corporate insiders and retail investors). While leverage and turnover increase the impact of quant strategies, especially in terms of short-term price action, it’s clear that price discovery and long-term stock returns are still largely governed by human investors. And, indeed, they are still making decisions the old-fashioned way: by asking other humans. BCA Research, an independent consultancy, estimates the global investment research spend is roughly $16bn annually. Meanwhile, equities headcount at the top 12 investment banks, while on the decline, still stands around 17,000 (Coalition research). Of these, around 5,000 equity research analysts (“sell-side”) produce 1000’s of publications weekly … for human consumption. Hence, to say that computer trading ‘dominates’ markets is just a reflection of the times; it’s like observing how many phone calls are made using cell phones. The person making the phone call is still very much human. And to claim that recent market volatility is driven by algorithms is a lousy excuse for weak risk management – by humans. Underlying this claim are two related assumptions – first that humans could not have behaved this way. 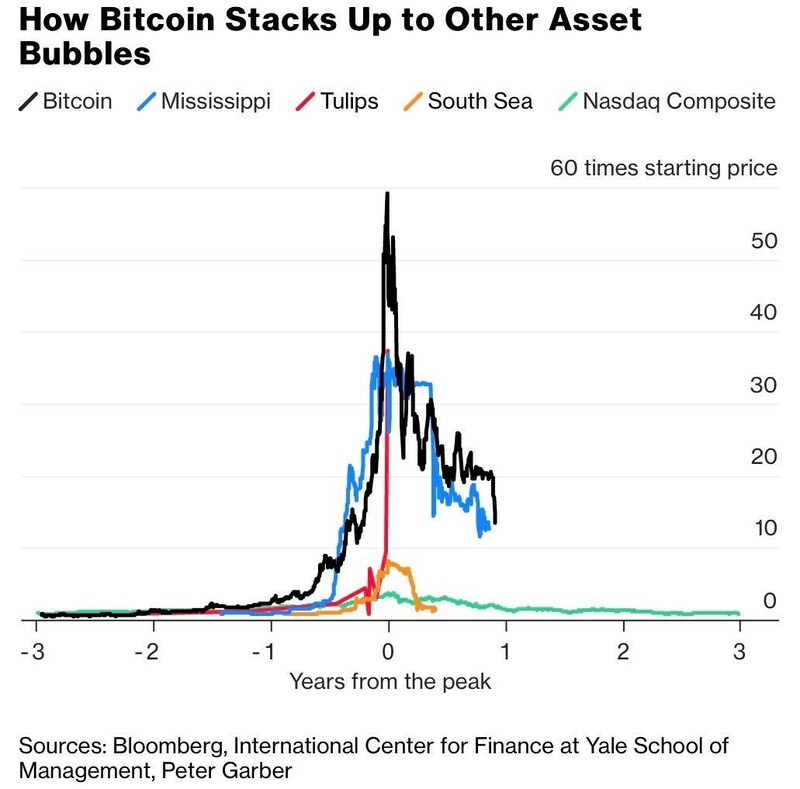 But Isaac Newton wasn’t using algos when he lost his fortune, along with many others, in the South Sea Bubble, and it wasn’t wild algorithms which drove the Tulip mania, the Great Crash of 1929 … or even Bitcoin. The second assumption is that the moves are not rational – that the volatility is not justified by fundamentals. Well if that’s the case then human managers ought to rejoice. To quote Warren Buffett, "The stock market is a device for transferring money from the impatient to the patient." If this short term volatility is unjustified then by definition it is presenting the ‘patient’ buyers with great buying opportunities from the ‘impatient’ sellers who panic. The market is still dominated by humans, but make no mistake, machine learning is coming, and fast. AI is riding the S-Curve of technology diffusion. It will replace much of the stock analysis profession (first on the chopping block are traditional sell-side equity analysts, but the profitable buy-side is next, starting with mutual fund managers). We always overestimate the change that will occur in the next two years and underestimate the change that will occur in the next ten. So said Bill Gates, famously. What’s often forgotten is what he said next: don’t let yourself be lulled into inaction. Already, innovative firms are pioneering the application of machine learning to fundamental investing, finding persistent patterns in company data. The twin revolutions in data-science and cloud computing are underwriting this. Some firms have developed what we call ‘virtual analysts’. Other firms are building powerful natural language processing tools to automate basic research and reporting functions.